Q. How can my RSO or department reserve information and outreach tables in the Main Library's lobby? 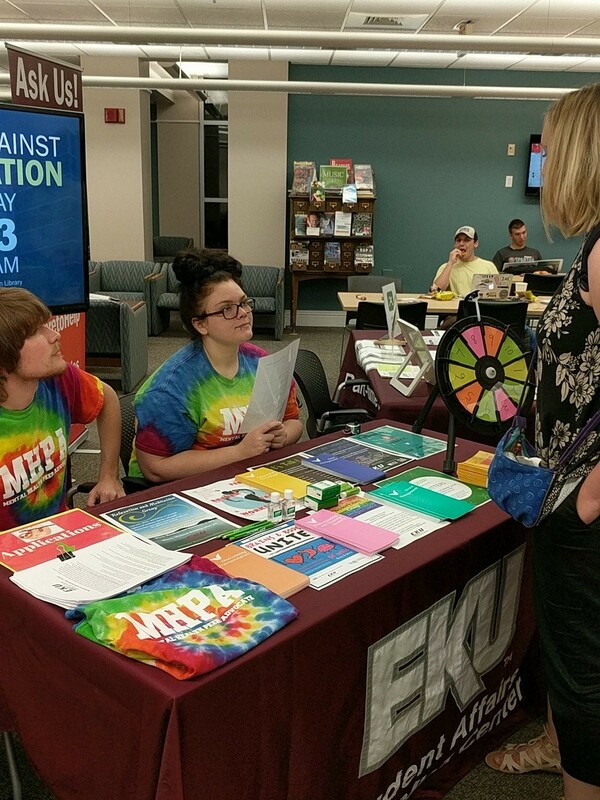 Eastern Kentucky University affiliated groups, services, organizations, and departments can request and reserve information and outreach tables in the main library's lobby by using the EKU Libraries' room reservation form. Please make reservations at least 48 hours in advance. Highest foot traffic occurs between the hours 10:00 am-2:00 pm Monday through Friday. Library-provided tables are to be used solely by persons representing university affiliated groups, services, organizations, or departments. Tables must remain in the Lobby near the Main entrance of John Grant Crabbe Library where they are set up. Users are expected to occupy their tables for the entire time period requested. Do not affix banners or fliers to the walls of the library. The use of display boards (provided by the user) is encouraged. EKU Libraries will supply 1 Dry Erase Board for use during the reservation. Activities must fall in line with appropriate noise levels for the area. Sales or distribution of items is not permitted. Users are responsible for taking reasonable measures to ensure the cleanliness of library facilities. Items used during your reservation must be removed at the end of your reservation time. Users are responsible for leaving the tables in the same condition as when they arrived. EKU Libraries is not responsible for the security of any items used during your reservation. EKU Libraries reserves the right to refuse the use of tables at any time, based on criteria outlined in the University’s Student Code of Conduct, Faculty Handbook, Staff Handbook, or library policies.